Fremont Auto Center, the dealer alternative for your Fremont BMW service and repair, offers everything from oil service, to manufacturer recommended maintenance services, to advanced diagnostics and repairs. 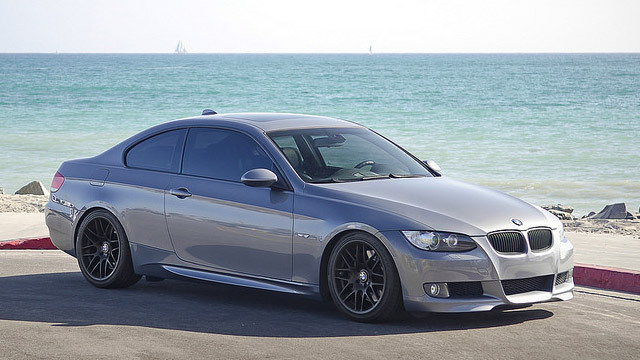 We are Fremont BMW service and repair specialists. Servicing your BMW with Fremont Auto Center satisfies the service requirements to keep manufacturer warranty in force. We truly are the dealer alternative. Given the fine engineering that goes into a BMW, we recommend regular maintenance, including regular oil service. Changing oil not only extends engine life, but also gives us opportunity to inspect your vehicle’s tires, hoses, belts, and fluid levels – this in turn gives us a chance to spot impending trouble before it manifests as breakdowns or requires expensive repairs. When you bring your BMW to Fremont Auto Center, you can expect not only friendly service, but also maintenance and repairs done right – the first time. We are a full service BMW repair shop, so in addition to regular maintenance we can also provide brake repair, ABS failure diagnostics and repair, sensors, check engine light diagnostics, AC recharge, battery registration, body electronics, electrical water pumps, clutch replacement, blower motor repair, wheel alignment, A/C repair, transmission repair, cv axle repair, radiator repair – to name just a few. We are BMW specialists, so we work with all models, from Series 1 to Series 8, and Z and X models as well. Our friendly staff will be happy to help, whether your BMW needs diagnostic service, serious repairs, or just an oil service. We are also happy to answer any questions you may have – give us a call, or schedule an appointment online.